Jakarta Provincial Government will regulate the use of Betawi Batik as employee uniform every Friday. Currently, motive and its use rule is still being finalized.
" 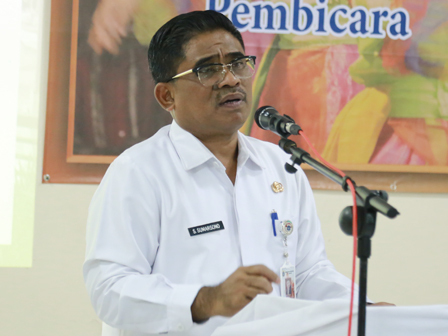 This is new policy and will be socialized soon"
Jakarta Acting Governor, Sumarsono disclosed that rule on use of Betawi Batik is a local policy. In national rule, the Home Ministry only regulates the use of brown and white uniforms, from Monday-Wednesday. "The two-day is freely in accordance with local policy. Then according to Gubernatorial Regulation, employees must wear sadariah shirt and kebaya encim (Betawi attire)," he stated, Tuesday (1/24). He explained would not change the regulation on use of uniform that was regulated. However, the use of uniform on Friday will use Betawi Batik in accordance with the decision that being finalized. "The attire ornament will be set on governor decision (preservation of Betawi Culture). This is new policy and will be socialized soon," he disclosed.